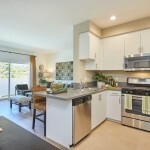 Simply Gorgeous… Take a video tour of Paseos Ontario Apartments today! Tour & Lease same day. Why renew where you currently live when you can have a Brand New Ontario Apartment.